You'll be £19.99 closer to your next £10.00 credit when you purchase Hitler's Secret Commandos. What's this? 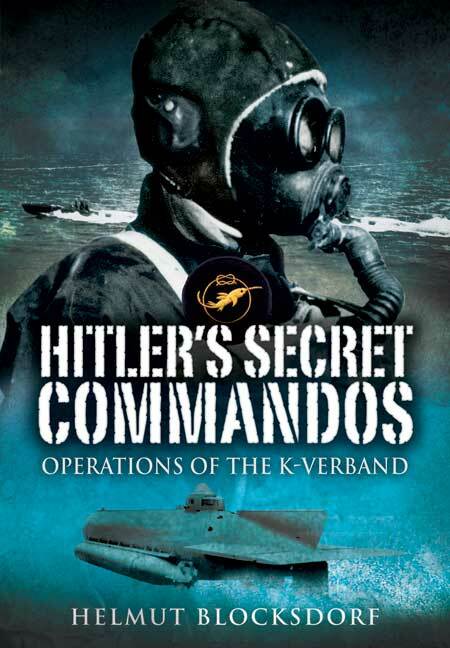 Hitler's Secret Commandos is the history of the K-Verband naval commando unit, established in 1943 to reek havoc amongst invading allied forces involved in amphibious landings or actions, against German-occupied coasts. Following the Italian and British example, the basic idea was for a small, exceptionally well-trained and absolutely reliable commando force using the maximum element of surprise. Midget U-boats, and small torpedo-carrying craft along the lines of the "explosive boats" used by the Italian Navy, were designed for individual operations while a naval assault troop was formed for missions against important enemy operational targets near the sea after being landed from naval vessels offshore. Using German archive material, first-hand accounts and other published material this is the first comprehensive history of the K-Verband. It charts the development, structure, selection, training and equipment the Commando unit used together with a detailed narrative of the operations undertaken.The material has been translated from a German text, previously published in Germany with wide acclaim. This great book looks at an area of German naval special forces that I didn't know much about. I was fascinated to see the designs of the various underwater craft used and to see that some of the men who used them, made it, despite the odds I bet! Definately recommended if you are into amphibious/special forces warfare.